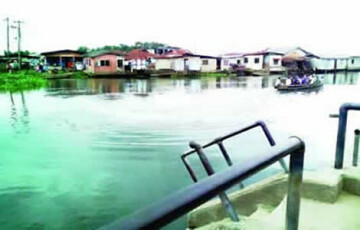 A 32-year-old graduate of Law, Dapo Olasore, was left to drown during a raid by officials of the National Drug Law Enforcement Agency inthe Agboyi, Alapere area of Lagos State. According to Punch Metro, the incident happened on Sunday after the officials, who came in two vans without number plates, raided the area. Olasore, aka Omopo, was about boarding a canoe to a neighbouring community to see a relative, when the officials stormed the community.They were said to have shot sporadically into the air, sending frightened residents fleeing in different directions. However, Olasore, who was by the riverside, was said to have been held by the trousers by the NDLEA men; and in a bid to free himself, fell into the water. A boatman, who attempted to save him, was said to have been threatened with guns, leading to the death of the victim. It was learnt that the victim, who graduated from a university in Ondo State, joined the National Union of Road Transport Workers in 2014, after he could not get a job.His family was said to be resident in Ibadan, the Oyo State capital. A witness and friend of the victim, Tosin Oshin, said the NDLEA officials arrived around 10.45am. “It happened around 10.45am. We suddenly saw two white vehicles in our community. They began shooting into the air and everybody started running helter-skelter. “They went to the riverside, where Omopo (Olasore) was about boarding a canoe. As Omopo saw one of them, he wanted to run like other people, but the officers held him. In the struggle to free himself, he fell into the river. Oshin said immediately the incident happened, the officials fled the community with two suspects. The boat operator, Dayo Seun, said before the victim finally drowned, he made an attempt to rescue him, but the officials prevented him. A resident, Omolara Adekunle, said the anti-narcotics officials were always harassing residents, adding that after making arrests, they usually collected about N40,000 for bail. “It is not only the NDLEA that come here to conduct this illegal raid. The police too are complicit; they have no fear of God. Another resident, Ayeni Oluwatoyin, told our correspondent that one of the suspects arrested, one Sunday Babalola, was planning his graduation as a qualified mechanic for August 26. Oluwatoyin, who showed our correspondent a vest the suspect had distributed to his friends for the celebration, said Babalola was giving out the vests when he was arrested. “After collecting the vests from him, they (NDLEA men) grabbed him by the neck and hit him. The boy begged them, but they did not let him go,” she said. A resident said the community would hold a procession for the victim, after his remains had been found. “By Tuesday, his body should float. We will hold a candlelight procession for him on Friday,” she said. The NDLEA spokesperson, Mr. Mitchell Ofoyeju, confirmed that there was a raid on the community by the agency, but denied knowledge that anybody was drowned. “The NDLEA went in search of a notorious drug dealer, named Saheed, following an information on his activities, which has constituted nuisance to people in that neighbourhood.